Apparently Amazon loves Christmas music as much as I do. They are running some sweet deals right now on a huge selection of Christmas gems. First of all somehow I missed that they are doing “25 Days of Free” Christmas songs counting down to the big day. There are definitely some artists I haven’t heard of but there are some notable songs from the likes of Chris Isaak and the Christmas staple, Mannheim Steamroller. 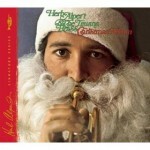 Amazon has also managed to pull out 100 different Christmas albums for $5 each. Granted some of the choices aren’t probably worth 5 bucks there are some really great deals. If I was you and had $5 to spend on one of these albums, I would probably opt for the Herb Alpert & the Tijuana Brass Christmas album (I already own it). It is a truly magical group of songs that will make resisting the Christmas spirit impossible! This entry was posted in Christmas, Free/Sale Music, Holiday, Music Website, Pop and tagged Amazon, Christmas Music, Free Music. Bookmark the permalink.